The scent of Gardenias in the still air of a summer evening is a wonderful thing. Not only is it a beautiful experience in its own right, but it evokes the Old South, Gone With the Wind, and days of balls on hot summer evenings. Yet there is modernity too that lingers in the air – a feeling of the tropics, white sand and palm trees. Whatever Gardenias evoke for you, there are a lot of reasons why this plant is universally popular with almost everyone. However the Gardenia is not the easiest of plants to grow and keep flowering successfully, so some understanding of its needs and how to care for it is always welcome. 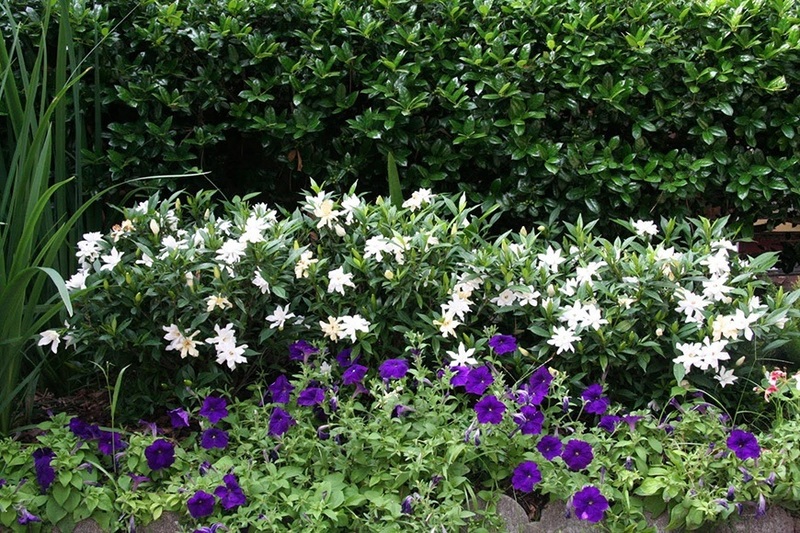 Let’s look at how to care for your Gardenia, both in the garden and in your porch or home. If you live in warmer parts of the country, growing Gardenias in your garden is a real possibility and the best way to enjoy this beautiful plant. If you live in zone 8, 9 and 10 you can grow any kind of gardenia right in the garden. It will form an evergreen shrub with beautiful glossy leaves, which can grow between 2 and 15 feet in height, depending on the variety. So if you are choosing a gardenia for outdoors, check that its final size will suit the space you have available. If you live in zone 6 or 7, you can grow the Frostproof Gardenia, a new variety that is much more resistant to winter cold than older varieties. This great plant allows many more people to grow gardenias outdoors and is a real hit with everyone who tries it. Gardenias need acid soil, so check that your soil has a pH below 6.5. Add plenty of organic material, like peat-moss or compost for acid-living plants, to the soil where you are going to plant. If your soil tests above 6.5, a planter or pot placed outdoors would be a better choice, although it is also possible, by regularly watering with micro-nutrients, to be successful in more alkaline soils. A well-drained soil, that does not stay wet, is best. Choose a location in full-sun, or with just a little shade, because if the spot is too shady you probably will get very few flowers on your bush. Choose a planting spot near your house or terrace, so that you can enjoy the perfume, but don’t plant near concrete, such as the foundations of a path or your house. The concrete will make the soil nearby alkaline which will cause yellow leaves and poor growth. The big key to success with your gardenia is keeping an even level of moisture in the soil. If the bush is stressed by soil that is too dry or too wet, the flower buds will fall before they have a chance to open. Apply mulch 2 or 3 inches thick over the root-zone to help keep an even level of water, but you should also check every day or two and decide if you need to water, before the soil becomes too dry. If your young plant sends out long shoots, pinch off the tips in June and again in August, so that your plant will become bushier. The bushier the plant the more flowers it will produce. If you need to do any pruning, do it immediately after flowering has ended, and not later than the last day of September. Gardenias also need regular fertilizer. For outdoor plants, choose a slow-release granular fertilizer for acid-loving plants and apply in February or March and again in September or October. If the growth is not vigorous, another feeding in June or July will encourage stronger growth. If you see yellow leaves on your bush, apply a micro-nutrient foliage spray containing iron. The weather can give problems too and gardenias need a little cooperation from Mother Nature. They will produce buds but not open their flowers if the nights are too warm – nights below 62 degrees are needed to open the buds, but a sudden drop in night temperatures can also cause the buds to drop suddenly. Of course there is very little a gardener can do about those kinds of problems. Luckily nature usually cooperates and your plants will bloom well if you give it the correct care. If you live in a colder area, or don’t have a suitable garden, you can still enjoy the delicious fragrance of gardenias by growing them in a container. Choose a container with drainage holes and use potting soil designed for acid-loving plants. Start your plant in something a little bigger than its existing pot, and repot each year until you are in a large 18 inch diameter pot, which will grow a plant well for quite a few years. Steady, even temperatures are the key to success, with night-time minimums around 60 degrees and daytime maximums between 70 and 75 degrees being the idea. So a spot with good air-flow will help keep your plant cool during the day. Cool nights are especially important and central-heating is the main reason gardenias in the house grow well but never flower. A porch or solarium is often the best place for your plant, as there the night temperatures will usually be lower than inside the house. Feeding regularly with the right kind of fertilizer is very important for plants in containers. Use a liquid fertilizer designed for acid-loving plants once a month from late winter to late fall and check that the one you buy contains micro-nutrients, especially iron. Gardenias are not the easiest plants in the world to grow, but with a little knowledge and some care, you can enjoy these beautiful plants and their exotic perfume in your own home or garden and feel a real sense of accomplishment!